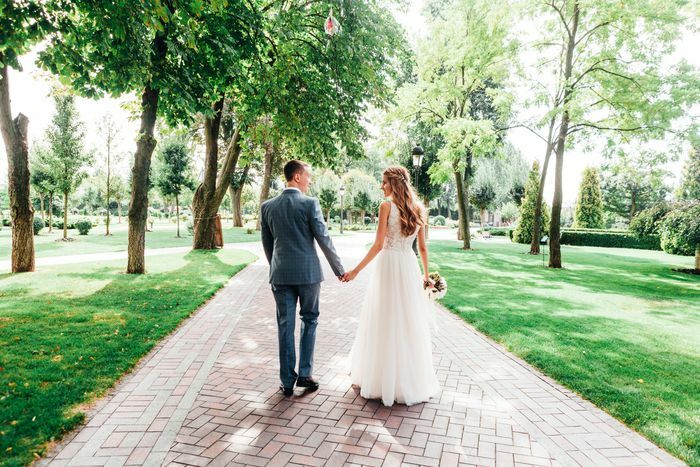 With the average price of weddings in the United States rising, couples are constantly seeking ways to spend their money more wisely. One area of the wedding that is a fairly simple place to cut back is on your wedding florals. Gorgeous florals can create such a stunning ambiance for your big day, but lush arrangements are likely going to come with an equally impressive price tag. While lavish bouquets and arrangements are lovely, there are plenty of simple ways cut costs in your floral budget. Choose in-season blooms. While you may be able to get your favorite flowers flown in year-round, sticking with locally grown, in-season flowers can help save major bucks. Be honest about your budget. Be sure to discuss your budget, as well as your vision with any potential florist you interview. If you discuss style, colors, and favorite flowers but neglect to talk money, you may end up falling in love with wedding flowers that you simply cannot afford. Have a holiday wedding. Holding your wedding during the Christmas season or immediately after Easter means you won't have to spring for ceremony arrangements. Typically the church will already be decorated, saving you a bundle. Avoid February. If there's one month you should avoid for your wedding day in regards to flowers, it's February. Not only are there fewer flowers in season, but flower prices are at an annual high due to Valentine's Day. Go natural. Create arrangements you can use again and again by transporting herbs, flowers, and other plants from your local garden store into eye-catching containers. Or incorporate twigs, leaves, and other foliage into your arrangements to add depth and texture. Stick to budget blooms. Carnations, mums, and baby's breath are all inexpensive filler flowers that can make gorgeous arrangements. For quite a while, these blooms were loathed by brides and considered tacky, but a good florist can make these flowers truly shine. Elevate the look by opting for monochromatic colors and pack the flowers tightly together. Reduce, reuse. Opt for small, simple bouquets for your bridesmaids and then repurpose the blooms at the reception as decorations for the guest book table, restrooms, dessert table, etc. Recruit a friend to move the ceremony decorations to the reception site. Keep it simple. Remember, you're not just paying for the flowers themselves, you're paying for your florist's time and craftsmanship. Garlands of flowers, intricate centerpieces, and super-structured bouquets take time to arrange. Consider non-floral centerpieces. Choose a different focal point for your centerpieces such as candles, lanterns, or books. Doing so means you can scale down the floral part of your arrangement, saving you major money. Pick a gorgeous venue. 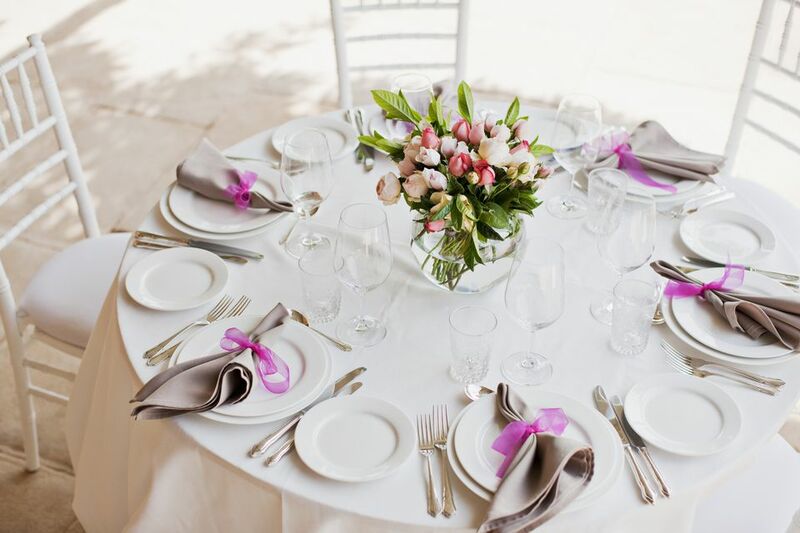 While there are many benefits to hosting your wedding at a hotel, the ceremony and reception spaces are usually raw—which means you have to bring in tons of decor and flowers to liven the place up. Selecting a venue with a lot of built-in charm (like a historic church, quaint country inn, or botanical garden) means your guests will have lots to pretty things to ogle, and you can go easy on the blooms. Candles, candles, candles. Tealights, tapers and pillar candles all look beautiful when artfully arranged on a tabletop, You can find pretty vessels at your local dollar store or score great deals online. Trim the guest list. Keeping your guest list small can decrease your budget in many ways, even for your florals. More guests mean more tables, which means more money spent on centerpieces. Fewer guests at the ceremony mean you'll have a shorter aisle and therefore fewer aisle decorations. Keeping the wedding party small also helps save cash—those bouquets and boutonnieres add up quickly, as they have to be created securely so they don't fall apart during the ceremony.